The newly launched Home Collection by luxury car brand BENTLEY was also on display in Milano. The stand was packed and a long queue of fair visitors was in front of the white stately stand. The collection itself was mainly unchanged versus the presentation in Paris a few months ago. Some items where shown in a different colourway and the offering was complemented by a series of new accessories like lamps, glasses, vases and bowls. 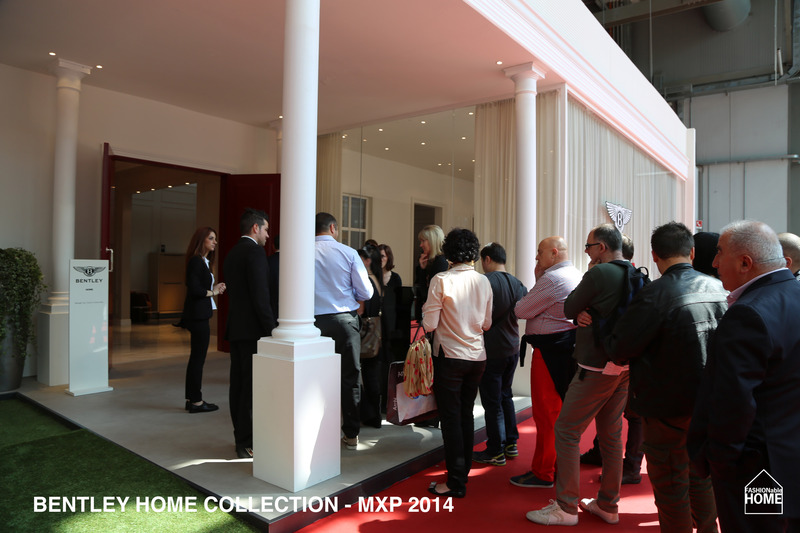 This entry was posted on April 17, 2014 by Chef de Cuisine in Fairs, Home Collections and tagged Accessories, Bentley, Bentley Cars, fabrics, Furniture, Home collection, Luxury Car Brand, Milano Design Week 2014, MXP, MXP 2014, Salone del Mobile 2014.